Often heralded as the be-all end-all for everything from acne to fine lines to sun damage, retinol is something of a hero skincare ingredient. Even so, it can feel intimidating at times, especially since its efficacy can sometimes come with side effects like irritation and increased sun sensitivity. 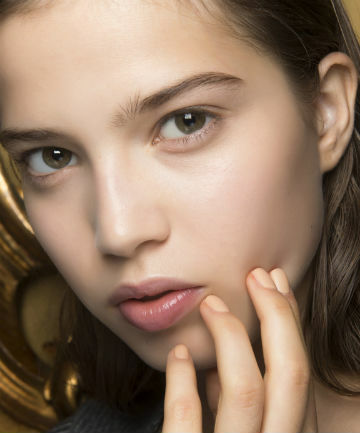 So, is retinol really something to be afraid of? We chatted with board-certified dermatologist Dr. Estee Williams to ease all of our retinol-related woes and she assured us that there's no reason to be afraid. After all, as she put it, retinol is "available over-the-counter because it is generally very safe and easy to use." She also explained that there are actually no specific safety issues regarding retinol, especially if you're buying it from a reputable brand. Still a little nervous? "Start low and go slow," advises Williams, "Begin with twice weekly at night for two weeks, then three times weekly at night for two weeks, etc., and eventually every night, if tolerated." She also recommends only using retinol products at night and wearing SPF during the day to offset any of that potential pesky sun sensitivity. You're also going to want to avoid mixing it with other active ingredients like glycolic acid, benzoyl peroxide and salicylic acid, at least until your skin has adjusted. Essentially, if used correctly, retinol doesn't have to be scary at all. And really, at the end of the day, the benefits far outweigh the (potential) costs: According to Williams, retinol can "aid in skin exfoliation, collagen production, reversing DNA damage and lightening skin discoloration." (If you're counting with us, that's pretty much everything). And because of their myriad benefits, retinol products can be used for everything from acne to stretch marks. Of course, there are a few very specific instances where Williams says you shouldn't use it — such as during pregnancy and before/after potentially irritating treatments like waxing, threading or chemical peels — but if that doesn't apply to you, we encourage you to go for it.